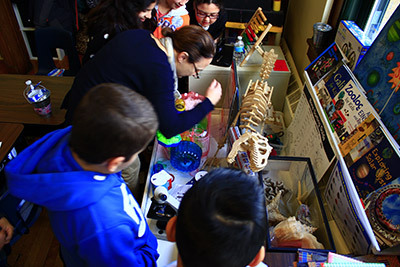 The Science Club is an academic club which challenges students in teams and presents questions from a variety of scientific domains in a JEOPARDY-like format. Students meet weekly to prepare themselves for the Regional Science Bowl in Chicago (typically in late February each school year). This event is sponsored and supported by the Department of Energy and is a tournament-like competition with teams earning points and advancing to the finals. The club is open to 7th and 8th graders with a maximum of 20 participants.